Every year, Muslims celebrate the beginning of the New Islamic Year, which commemorates the occasion of Hijrah, or the Prophet Mohammad and his followers' migration, from Makkah to Madinah. It was during the era of Muslim leader Omar bin Al Khattab when the calendar was set up. It is narrated that Al Khattab has consulted companions of the prophet on choosing from three events to mark the beginning of the Islamic calendar. The options were the day and year of Mohammad’s birth, death or Hijra to Madinah. They agreed on using the date of the prophet’s Hijra, which marked an era of successes for Muslims, and all future events were counted from it. The agreement on this matter was reached in the year 17 of the Hijra, the fourth year of the caliphate of Omar, which corresponds to year 622 on the Julian calendar. The Hijra to Madinah was a turning point in Islamic history, marking the beginning of the Muslim state, and where the prophet established the first civil Muslim society. At first, there were discussions on whether the first month of the year should be Ramadan, the Muslim fasting month, or Muharram. It was then agreed that Muharram will be the first month of the Islamic year given that it comes after Muslims complete annual pilgrimage season during the month of Dhul Hijjah. There are narrations that say that Prophet Mohammad was the first to care about setting dates in the Islamic era, and that he ordered date setting upon his arrival in Madinah and has used dates in official correspondence. 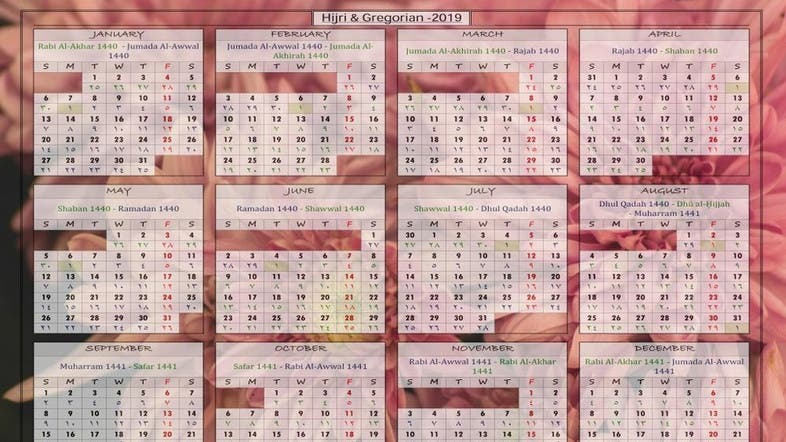 The Islamic year has 12 months and follows the lunar calendar.